Among the general public, it would be fair to say that ‘freshness’ ranks highly when it comes sushi evaluation criteria. 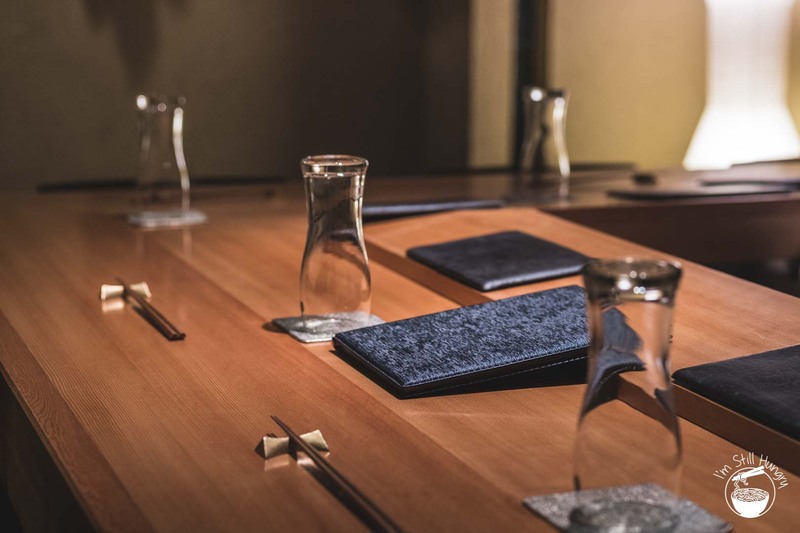 Whenever I read reviews of sushi-ya such as Lonely Planet favourite Sushi Dai, ‘fresh is best’, ‘straight out of the ocean’ and – perhaps somewhat excessively – ‘still moving’ are common platitudes. 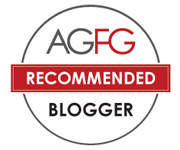 There’s nothing wrong with this – fresh fish is excellent and by and large, preferable over the rank alternative. But you know where this is going: the aging fridge. To more fully appreciate sushi begins with empting the full cup and acknowledging that freshness isn’t the whole story. Take steak. It’s common knowledge that dry aging a prime cut over a handful of weeks (or even longer in some extreme, but marvellous cases) can impart new flavours to such a degree that you’d be forgiven for thinking it comes from a different animal! But is aging something as delicate as fish, infamous for its short shelf life and propensity to absolutely wreck people when eaten on the wrong side of the freshness calendar, even possible? The sushi bar normally seats only 6, though 8 can be accommodated. Any more and Kimura won’t be able to maintain quality. 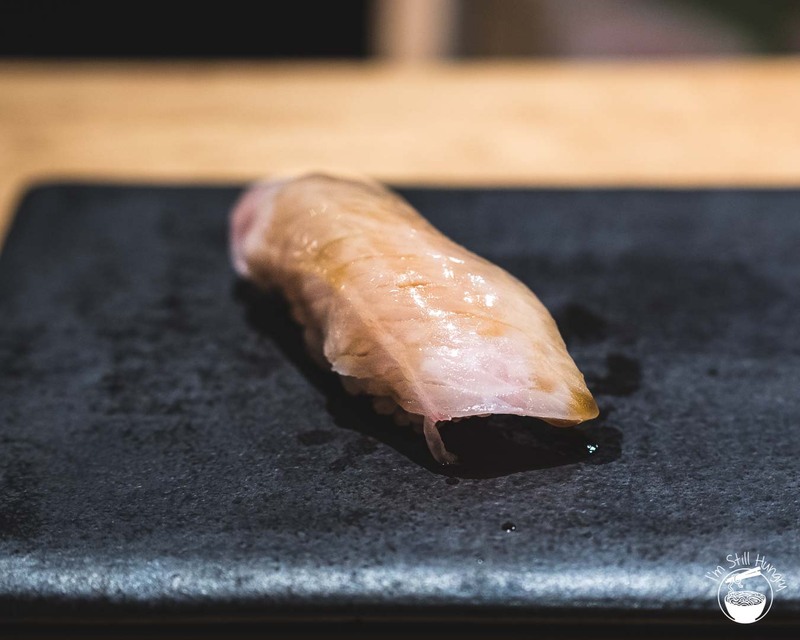 Sushi restaurants that do happen to age fish typically do so for up to a week. The occasional, deserving piece is daringly treated with a fortnight. If you’re new around these lands, the thought of putting fish through ‘nature’s processes’ for even that length of time can be gag inducing. To the old hats, you know it’s a literal other dimension of deliciousness. But where norms are, by definition, average, mavericks capture hearts and stomachs. 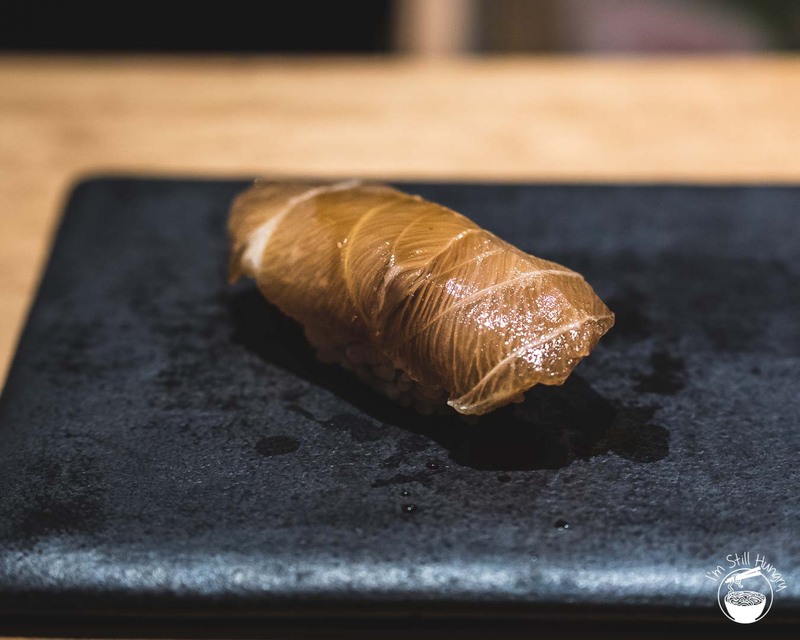 And so we come to the iconoclast of this post: Kouji Kimura, of the eponymous Sushi Kimura. He takes sushi seafood forward – to a whole new era. Almost literally. 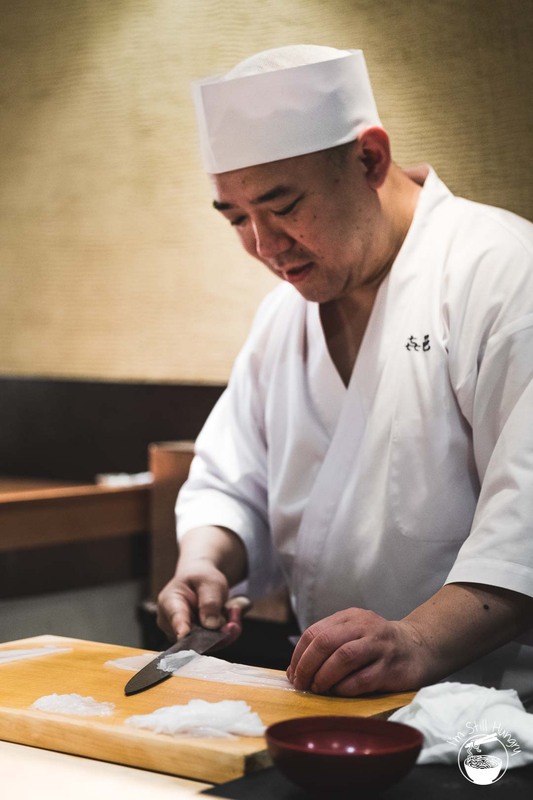 In the fanatical circles of the sushi-obsessed (guilty as charged), Sushi Kimura is known as the father of aged sushi and his name is household material. 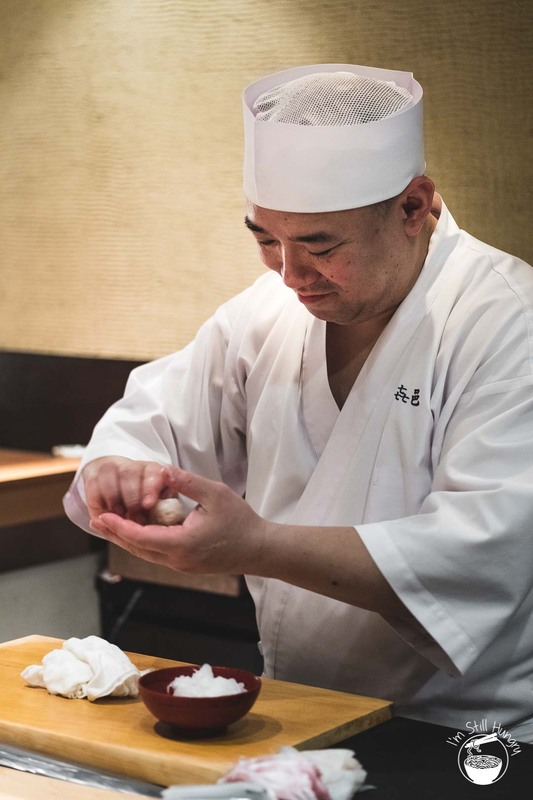 The usual tropes apply in defining his fame: three generations of sushi chefs; an ‘origin story’ – where no-show customers led to spoiled expensive fish (the ‘a-ha!’ moment); and, a lifetime dedicated to its mastery, yet never reaching perfection. Aged 10 days? Cute. Try two months: such is the period for which the mekajiki (swordfish) goes under. Or hamachi (amberjack) that’s casually been chillin’ in the aging fridge for 50+ days (you know, about the average duration our top politicians last in office). 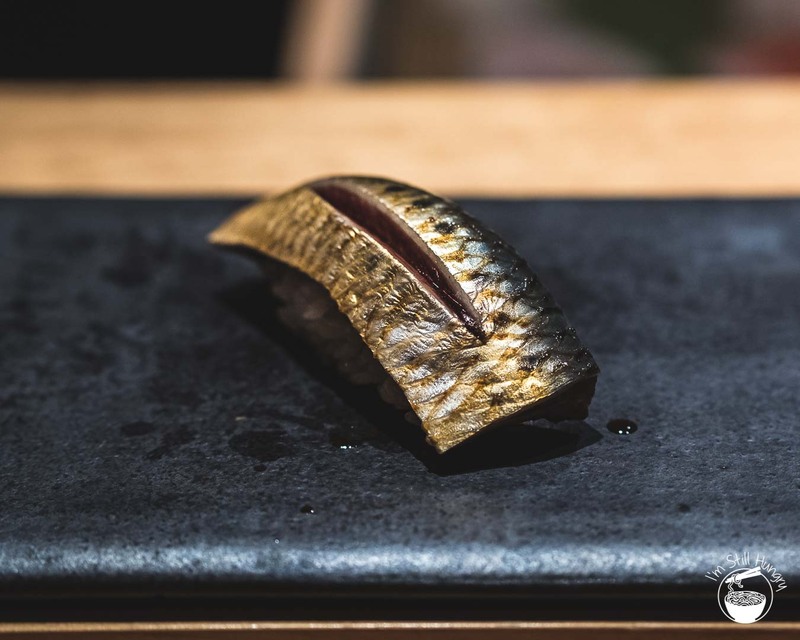 The general premise of aging fish is the same as that for meat: the reduction of water content and encroachment of beneficial bacteria concentrates and alters the fish’s flavour & texture profiles. But aging fish is no easy task and arguably more difficult than that for beef: it’s not a matter of chucking a fish into your fridge and letting nature have at it: if you’re doing this right now, maybe check up on it. And list your fridge on eBay as ‘slightly used’. In sushi-making, various fridges and temperatures are needed depending on the fish and the desired result. The margin of error is, well, high. In my eyes, it takes more skill to run this type of sushi-ya than one that only focusses on fresh fish. My respect for Kimura began before even taking a single bite. 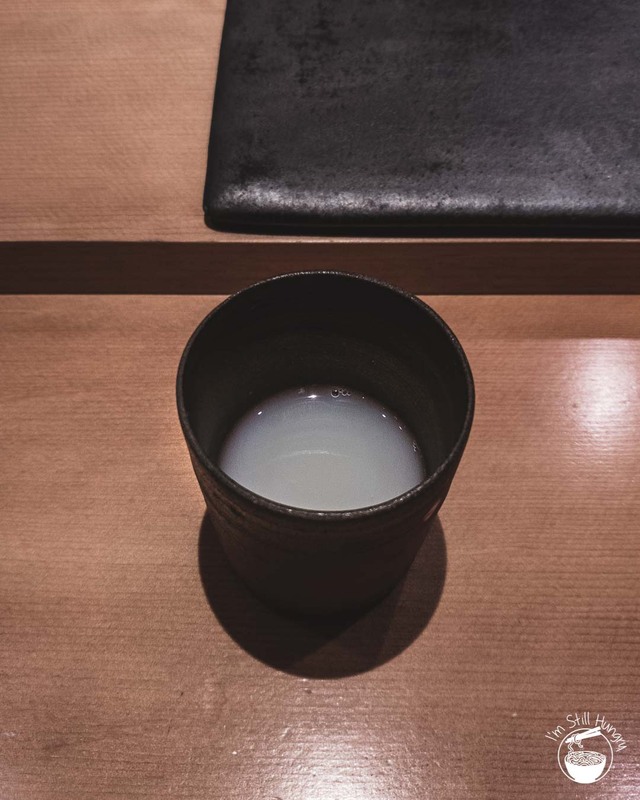 Hamaguri sake soup. Well, this was new. 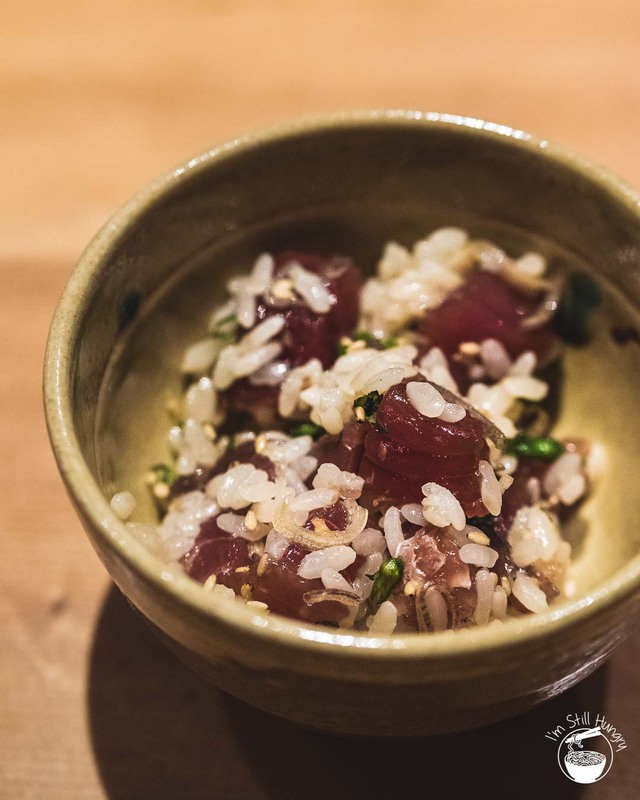 At Kimura’s restaurant, there is no pandering to those who seek known crowd-pleasers: if fatty tuna and sea urchin aren’t in season, they simply won’t be on the menu. Kimura’s not afraid to serve relatively unknown cuts as long as they are optimal products of the season and of his aging processes. There is no better expression than bringing out the most of what you’ve got. If tuna become extinct one day, you can bet Kimura will be ahead. Although any high-end sushi-ya will claim this, I personally felt that it rang more true for Kimura. 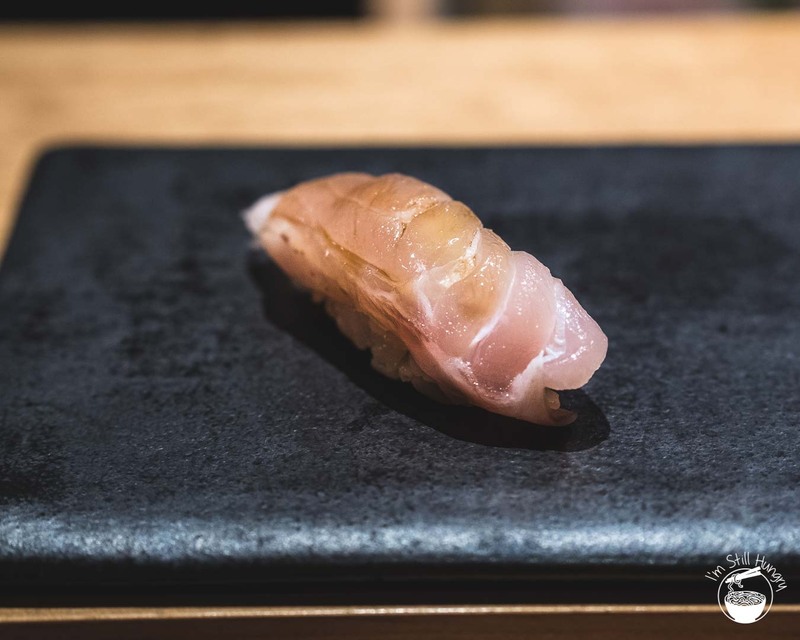 This isn’t your typical (though excellent) Edomae style sushi you’d find aplenty in on the streets of Ginza. 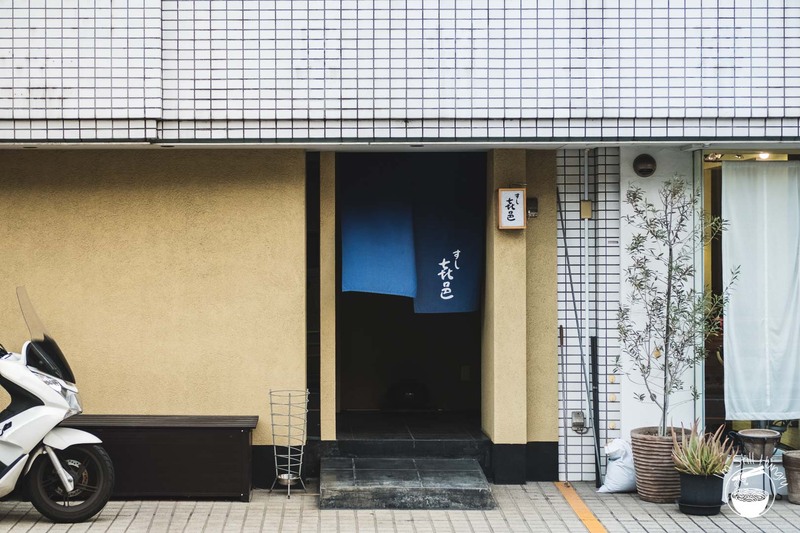 Even the location, in Futako-Tamagawa, is well outside Tokyo CBD: you make the trek out not to impress, but to be impressed. And boy, was it impressive. 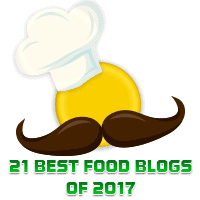 This is an easy one really: it’s a top three, and one of my best meals of 2018. It starts all the way from the appetisers, themselves very different to what you would get elsewhere. 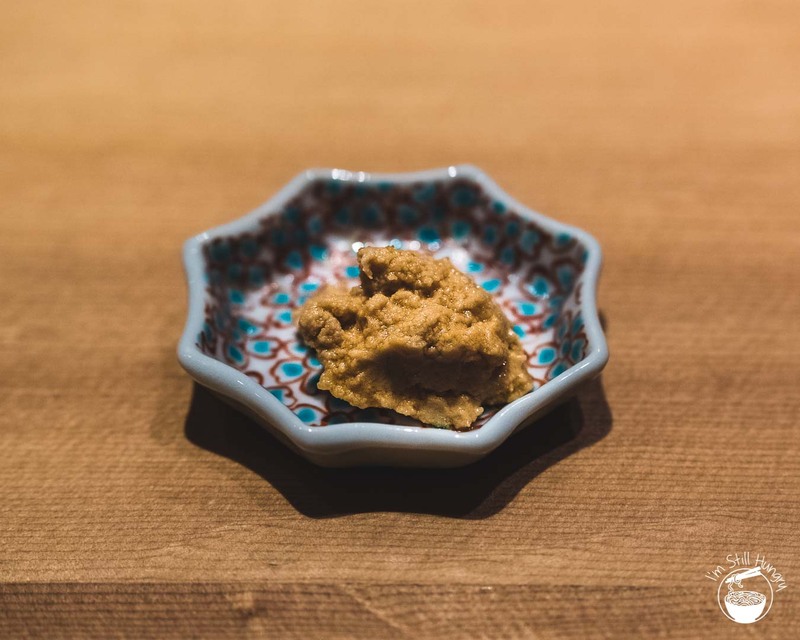 Name another sushi-ya where you get a tsumami (starter) of ‘oyster butter’, an actual oyster that’s boiled, reduced and blended with butter that tastes of the sea if it was turned into creamy icicle? 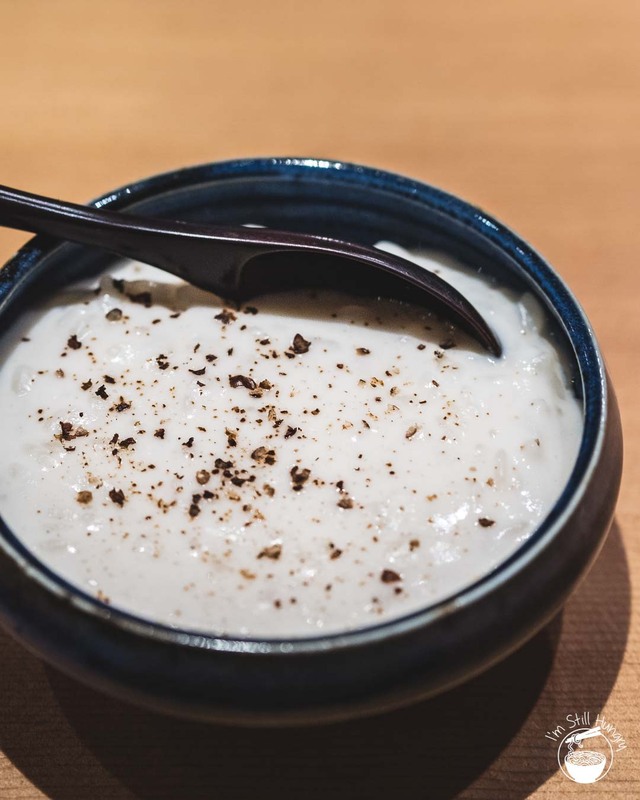 Or creamed shirako (cod sperm sac) risotto – served with rice cooked in dashi? 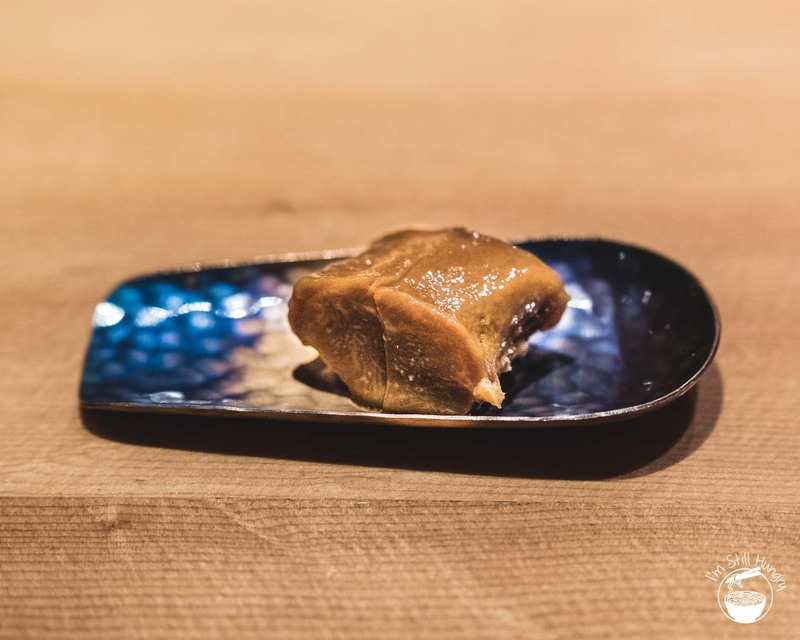 Or to make three for three, ika no kimo (squid liver) that’s salted, miso applied and frozen over a course of 3 months? There is only one answer. 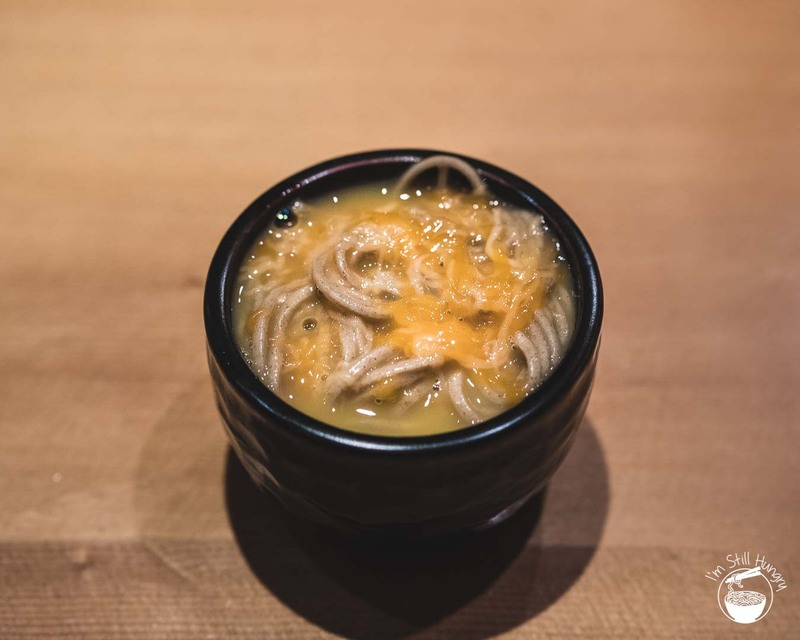 Konoko (sea cucumber) soba. Superb dish with al dente soba. Shirako (cod sperm sac) risotto w/pepper. A rather Western dish prepared with quintissential Japanese ingredients. Deeeelicious. Then there’s the shari, or sushi rice. 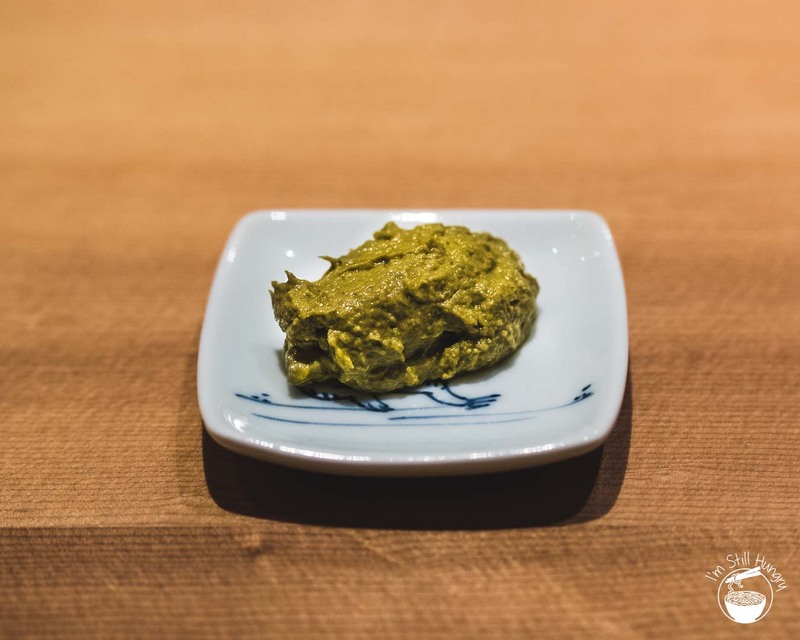 One of the courses Kimura served me – as he does everyone else – is a spoonful’s worth of it encased simply by nori. It takes true confidence in your rice to serve it without accompaniments, and it absolutely deserved its own showcase. 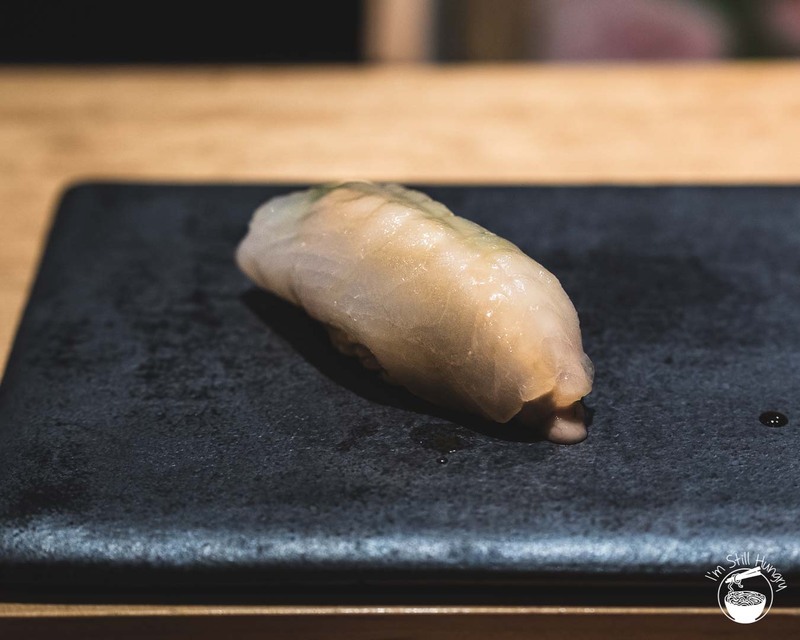 Like Kimura’s fish, his shari is different: it’s not pre-soaked prior to cooking, which induces the counterintuitive property of extra vinegar absorption all the way through to the centre of each grain. The result is a fuller-flavoured, al dente grain; Kimura’s own style. 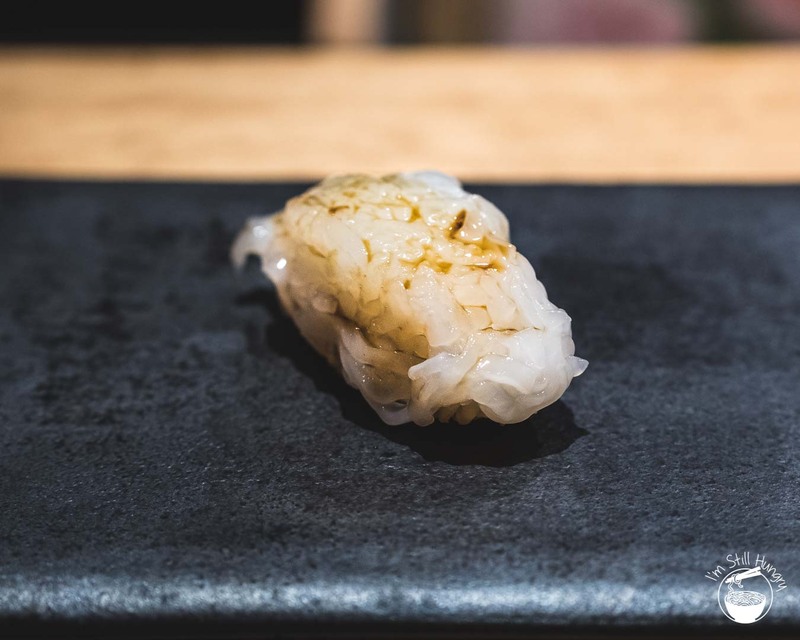 This result is specifically designed to juxtapose against the sushi-ya’s neta (sushi toppings), which is softer as a result of ageing. 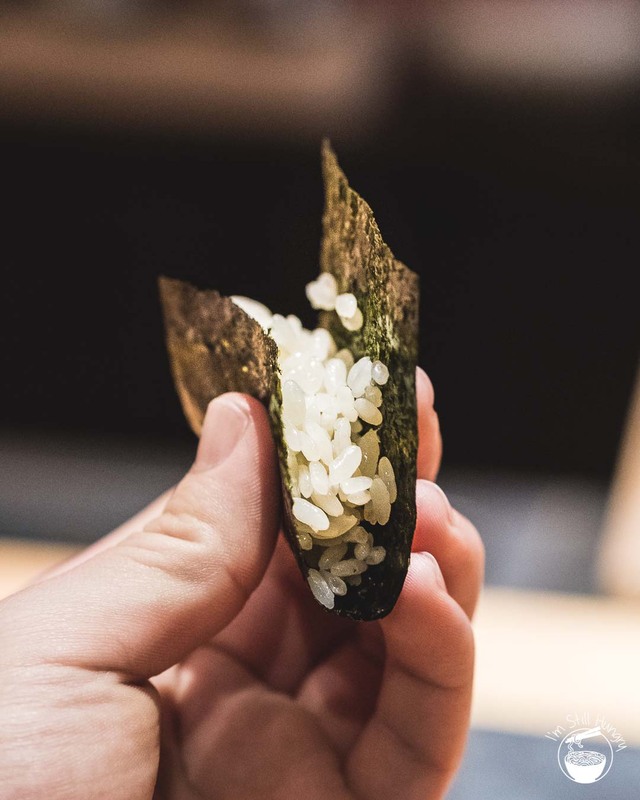 The rice grains are flavoured with an akazu (red vinegar) produced small-batch style from Kyoto. As is befitting of Kimura, the vinegar too has been aged – for 3 years. Complexity is one result, but harmony is the finale. Fermented watarigani. Very salty and not for me. Shiozuke squid liver, two weeks under miso, frozen 3 weeks. Tastes like a nama chocolate – ‘for adults’. 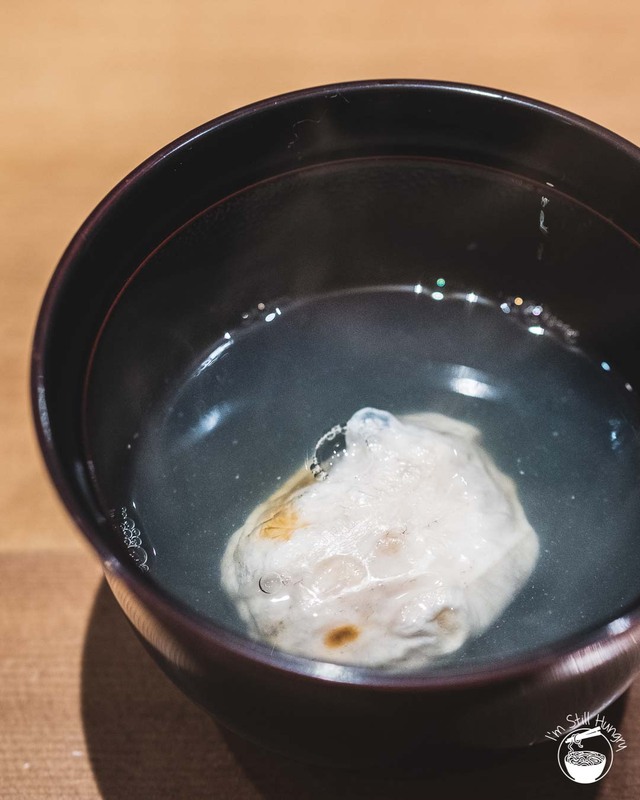 Fugu (puffer fish) soup boiled with 3 whole fish for 8 hours, & fugu sperm sac ‘dumpling’. 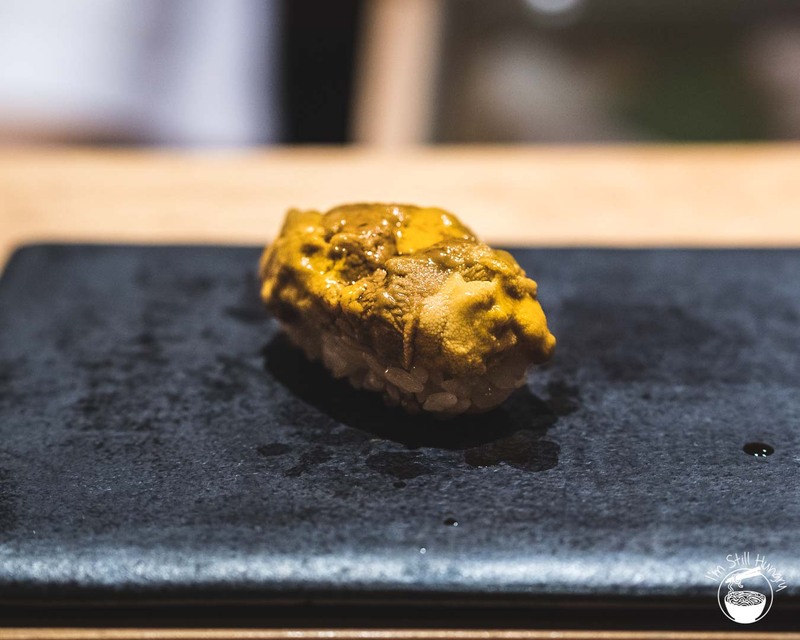 While the tsumami certainly raised eyebrows and perked tastebuds, more well-known pieces round out the menu – with a Kimura twist, of course. Konoko (sea cucumber), but creamed and served as a soba for a dish that rivals the richness of sea urchin. 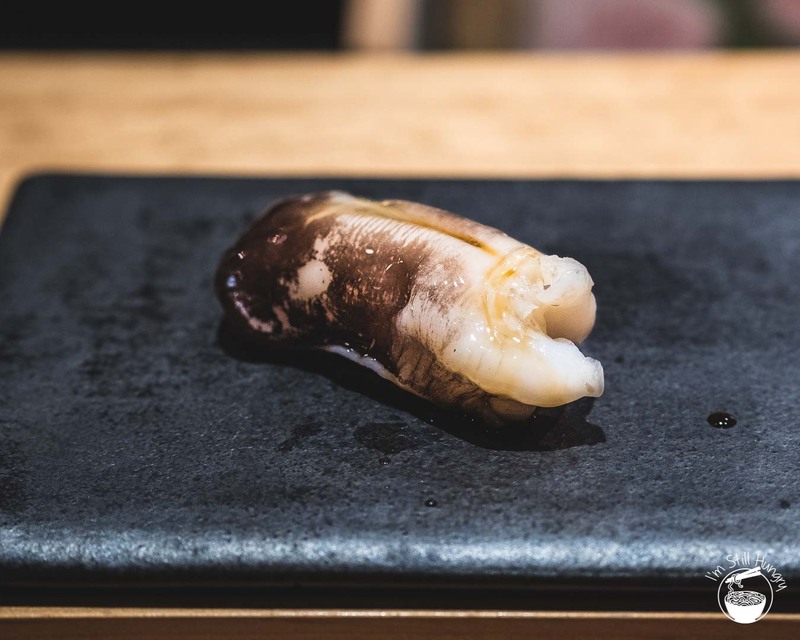 A kawahagi (filefish) that’s been aged for a relatively blink-of-an-eye period of 6 days is fattened up with its own liver, an unctuous 4-5 bites of pure ecstasy. 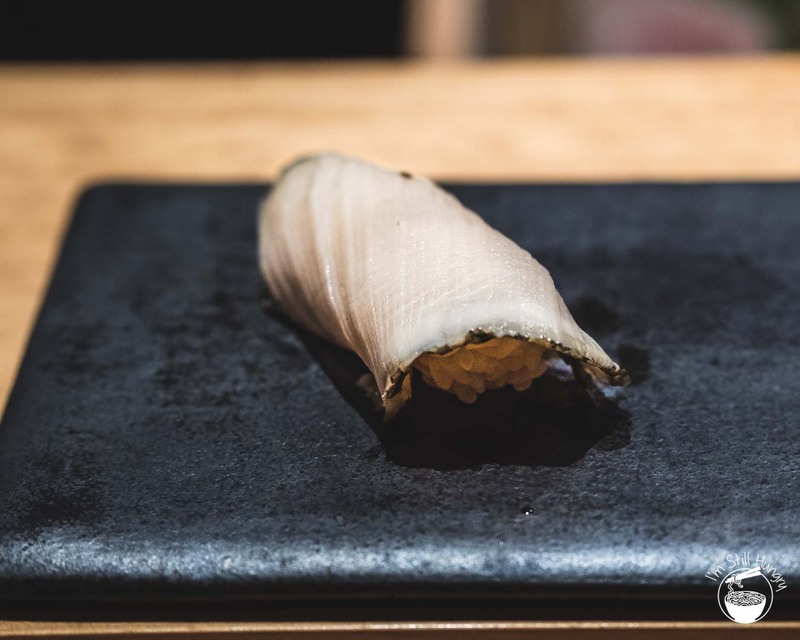 One of my favourite pieces was the awabi (abalone), sliced so thinly it literally became translucent. 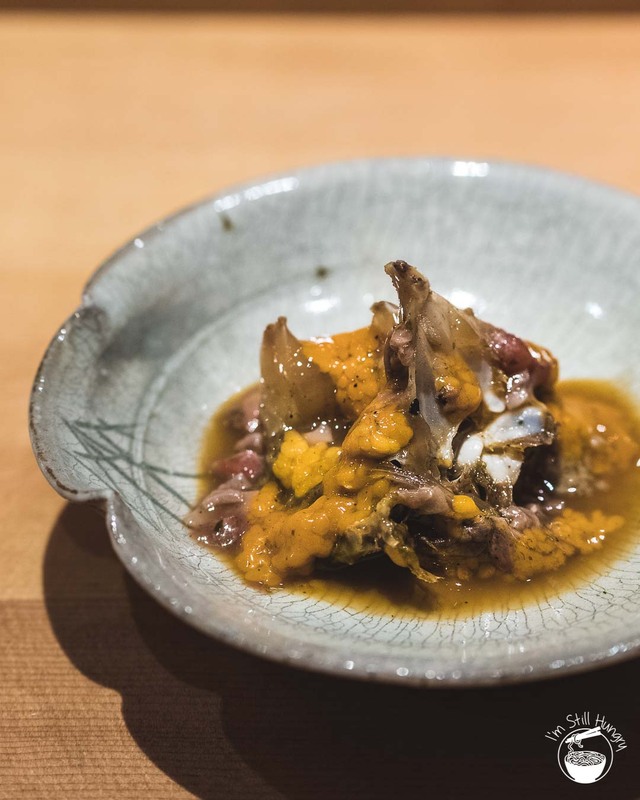 A perfect case of how an unusual texture opened up a whole new world of possibility – I haven’t had such a confounding example since Noma washed up Sydney’s shores. Shari (sushi rice). Kimura’s sushi rice is something else. 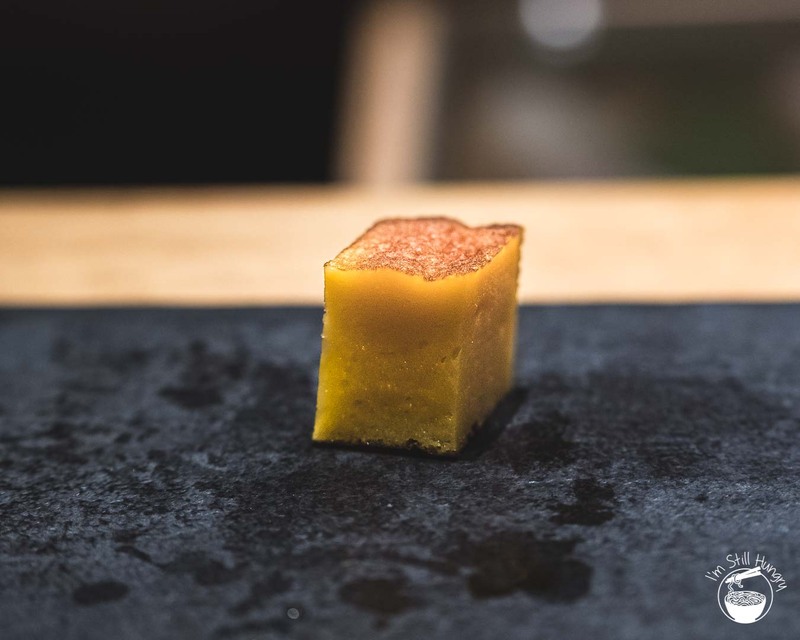 You can probably tell that flavours and textures at Sushi Kimura are not what they seem, particularly if you’ve come into sushi with the ‘fresh is best’ mentality. At times, things inevitably did go overboard. 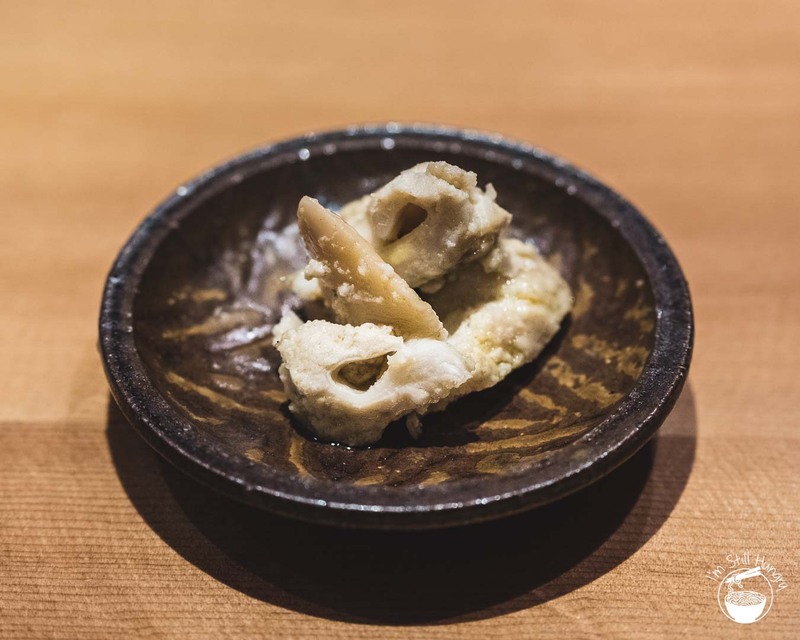 For example, the watarigani (Japanese blue swimmer crab) was overly salted, with a level of fermentation that took me right to the edge…and then pushed me over. The squid liver I talked about earlier? Also hugely challenging to eat, notwithstanding its gooey, raw chocolatey texture. But I feel like I’m singling these two dishes out in order to deliver a post that doesn’t come off as overly biased. I may not succeed very well, because literally every other course was on the money. It’s rare to get such a hit rate, even more so when it’s a chef that pushes the boundaries in this way. Kawahagi & its liver (threadsail filefish). Rich, luxe cut! Torigai (Japanese cockle). Subtly-seasoned, very soft. Awabi (abalone), wrapped around the shari. Its thickness (or lack thereof) made for a different mouthfeel. Kanpachi (greater amberjack). So soft, tastes like tuna. Amakusa jellyfish. My first time having it! Unlike normal jellyfish, this was super soft – like sea urchin. Aging fish to the extents common at Kimura can lead up to a 5-10x reduction in volume in the resulting flesh. That Kimura manages to do all this at a price point equivalent to other high-end sushi-ya without nearly as much aging is stunning. Couple this with the amount of effort he puts in and the margins must be razor-thin. To add to this, the entire food operation is done all by himself. There are no assistants, no hidden cohort of staff in the back kitchen, nothing. Just Kimura himself and his maître d′. 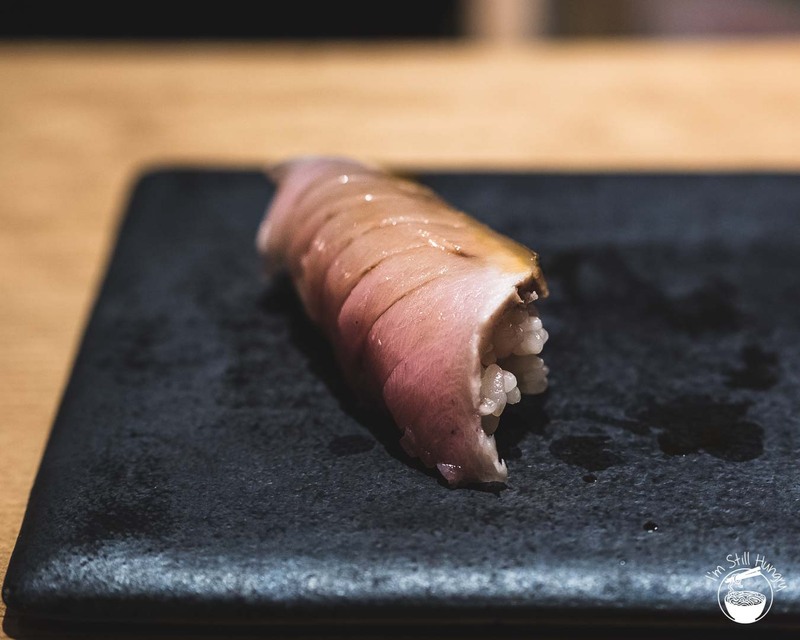 Considering the monumental effort aged sushi requires, it isn’t surprising – even if it is saddening – that he sleeps an average of only 3 hours a night. Smoked meji (young tuna). Deliciously smoky indeed. Katsuo (bonito) rice. Gingery & nutty! Dashimaki, quite bouncy and more on the sweeter side. Kimura has been at this for over a decade, and by his own admission he isn’t there yet. But really, it’s there. 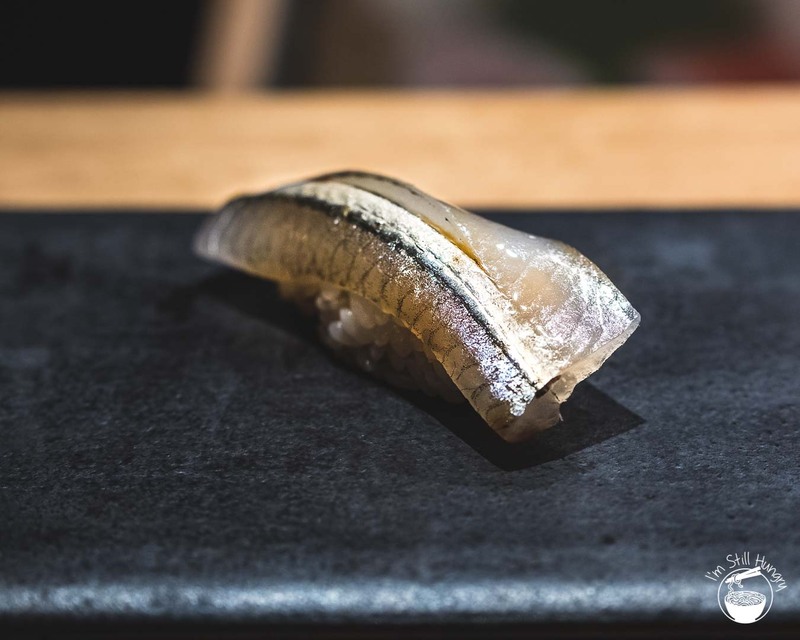 Without an apprentice, I don’t know who Kimura will pass on his skills to, but no matter – others have begun to take notice and sushi-ya focussed on aged fish are beginning to take hold of the sushi collective. This is something the Edomae masters of old could not do without the miracle of refrigeration. Even if Kimura isn’t able to train the next generation himself, everyone will still remember the godfather of aged sushi.